1What Is A Reiki Session Like? 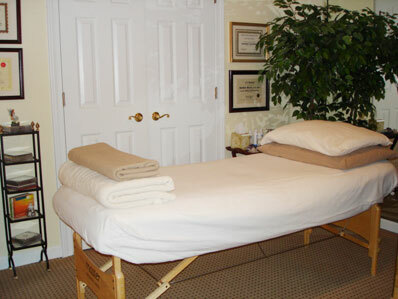 During a Reiki session, you lay on a Reiki table (massage table) fully clothed, and I can cover you with a flannel sheet or a blanket if you desire. You just lie there and relax, and I do all the work! The lights will be low, and I have many CD's of soothing, relaxing music for you to choose from. Reiki is energy work to create balance in your chakras, meridians, and organs & throughout your whole being. Sometimes I'll be working on specific points or areas on your body, and other times I'll be working in your energy field off the body. If you prefer not to be touched at all, I can work that way too. My healing room is very comfortable, clean and has beautiful healing energies surrounding you. 2Do I Need To Do Anything To Prep For A Reiki Session? No, just come & relax and enjoy the experience. 3What Can I Expect To Experience During A Reiki Session? Many of my clients find that Reiki opens the pathways to Clairvoyance, and they see beautiful colors or receive messages from Angelic realms and healing Guides. Some of my clients fall asleep for most or part of the session... enjoy it! Reiki is a refreshing experience, and you'll find you feel more energetic and relaxed after a session that can last for days or weeks. Your pains will go away too - including headaches! 4What Is A Somatic Healing Session Like? Somatic Healing is more interactive in the way that I'll ask questions such as what color is your pain, or where is an exit point this pain can leave your body. You're still lying on the Reiki table fully clothed, and covered with a blanket if you wish. It is similar to a Reiki session, except that we're working with your Inner Healer, or inner knowing. Your body and subconscious mind know what your body needs to heal, and we tap into that source. 5What Is A BioGenesis Session Like? BioGenesis is usually combined with Reiki, and is a nice compliment to a Reiki session. The BioGenesis glass tools are used above the body, and some are placed on the body. Most clients feel the energy these wonderful tools impart. 6How Do You Do Reiki On My Pet? I come to your home where your pet is most comfortable. If your pet is a cat or a dog, they can just lie down where they're most comfortable. Animals are very receptive to the healing energy, and they will walk away when they've had enough. I find that for cats, I have to step down my healing energy, because it can be very strong for them and they don't like that! I also telepath (mentally communicate) with animals, and sometimes they'll tell me or show me what's wrong and why they don't feel well, or have a particular habit. If you have a bird, lizard, hermit crab, fish, snake or any other kind of animal that needs to stay in its habitat, I work in their energy field. Reiki still works great in that regard, and I can do Distant Healing too. Distant Healing works through time and space (and is based on Quantum physics). If you have a horse, goat or any large animal, they will usually let me do hands-on healing work. I love all animals & reptiles, and have a deep connection with them.